Choose puzzles from the library! THIS FORM IS FOR USE BY MEMBERS ONLY! Submissions by non-members and donations only members will be deleted upon receipt. Use this form to make selections of puzzles that you would like from the library. Your request will be sent to the current member who has a copy of the puzzle you are requesting. If more than one member have a copy, it will be sent to the closest member to you that has had it the longest. List the puzzle ID #'s in the appropriate lines below. PLEASE LIST THEM IN ASCENDING NUMERICAL ORDER TO EXPEDITE PROCESSING. We will contact you by email if necessary. Enter the puzzle ID's you want here. You may enter up to 10 puzzles using this form at one time. 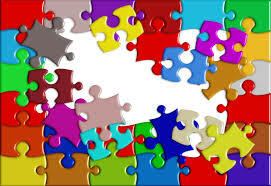 You should NOT request more puzzles than you have available to return otherwise you may need to purchase puzzles to complete the swap. Enter the puzzle ID's that you currently have in your possession. List the puzzle ID's that you do not want here and ones that you have already had. This way, you should not receive them again. You may list up to 10 puzzle ID's in this field. If you have more, please submit a new request for those. Your requests should appear on the list within the next 24 hours. Members will then be able to send those puzzles to you.